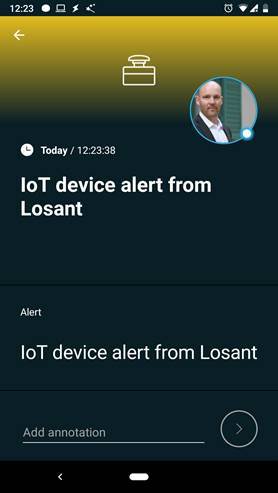 Losant offers an easy-to-use Enterprise IoT Platform designed to help teams quickly build real-time connected solutions. Whether you are collecting data from a Raspberry Pi or industrial machines, Losant can help you manage your IoT devices in real time. Pairing this powerful IoT platform with SIGNL4 can enhance your daily operations with an extension to your mobile team in the field or on the shop floor. All it takes to pair Losant and SIGNL4 is a custom workflow that implements a webhook and encapsulates the SIGNL4 alerting capabilities. Manufacturing, Utility, Oil and Gas, Agriculture, etc. SIGNL4 is a mobile alert notification app for powerful alerting, alert management and for mobile assignment of work items. Get the app at https://www.signl4.com. 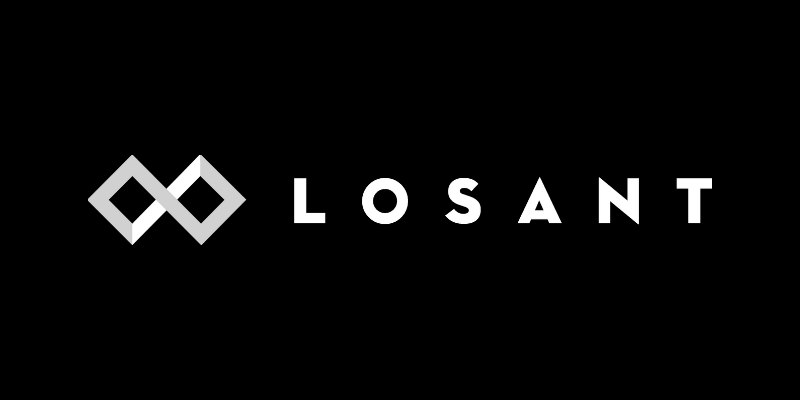 Losant offers an easy-to-use and powerful Enterprise IoT Platform designed to help teams quickly build real-time connected solutions. The integration with SIGNL4 is straightforward. In the following we will show an example on how to send alert notifications using SIGNL4 in case of an I/O event happening on a Raspberry Pi. In the Losant dashboard go to Workflows -> Custom Nodes and import the SIGNL4 Custom Node. You can find this one at Github. The file is called “signl4-alert-v100.node”. There is a great description on how to add and configure devices available here. We have used this sample and you can find our adapted code at Github. The file is called “index.py”. Please make sure you use your own Device ID, App Access Key and App Access Secret as described in the above article. Now you can create your own workflow using the device and the SIGNL4 Custom Node as shown below. The first part of the above workflow is to listen to device events and to send a SIGNL4 alert if such an event occurs. At the same time we switch off the LED connected to the Raspberry Pi. The second part is optional and gives an idea about how to handle user acknowledgements. In our case we wait for the user acknowledgement and if a user acknowledges the alert, we will switch on the LED on the Raspberry Pi again. In order to pass acknowledgement information from SIGNL4 to Losant you would need to create a webhook in Losant at Weebhooks -> Add webhook. Then in your SIGNL4 portal you would need to add this webhook at Development -> webhooks -> Add. Please note there might be a $ sign at the end of the Losant webhook address. You cannot use this one directly in the SIGNL4 webhook address but you can just encode it a %24. Team Secret: This is the last part of your webhook URL: https://connect.signl4.com/webhook/. Alert Message: This is the alert message text to be sent to the team. The output is the eventId of the transmitted SIGNL4 event. Now you can test it by using the test button in the workflow or by using the Raspberry Pi device itself. You should then receive the alert in your SIGNL4 app. That’s it. 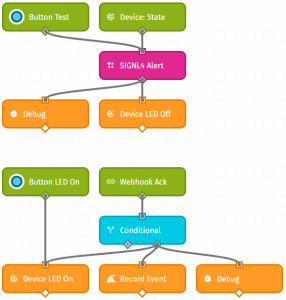 It is an amazingly simple yet powerful way to show the whole spectrum of IoT alerting from a real device, through an IoT platform towards end-user notifications including acknowledgements.